1) FIND AWESOME PHOTOS & VIDEOS 2) REPOST TO INSTAGRAM 3) THERE IS NO 3RD STEP. YOU’RE DONE! 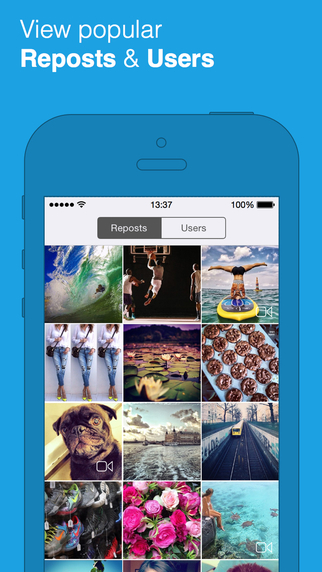 ( The "Popular" Tab lets you see what and who is being reposted the most on Instagram.) ... free but ad supported. Cult of Mac says : Magic Hour is a photo app for people who love the filters effects you get from apps like Instagram and Hipstamatic. Show off your awesome filters all over the world! Download artistic filters such as Toon, Painting, Illust, Sketch, Colorpicker, etc. Do you love selfie? Beauty filters are also available! 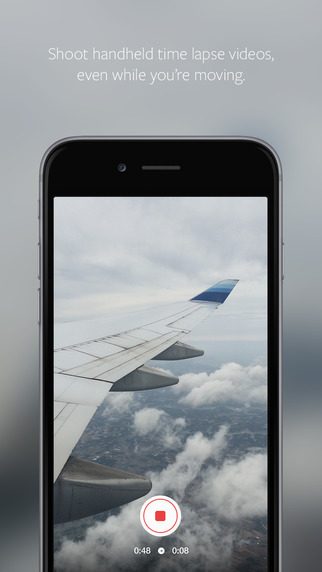 Add reflections to your photos -- Photo Reflection enables you to quickly and easily add amazing customizable reflections to your photos. There are tons of editing options that allow you to create the perfect reflection.